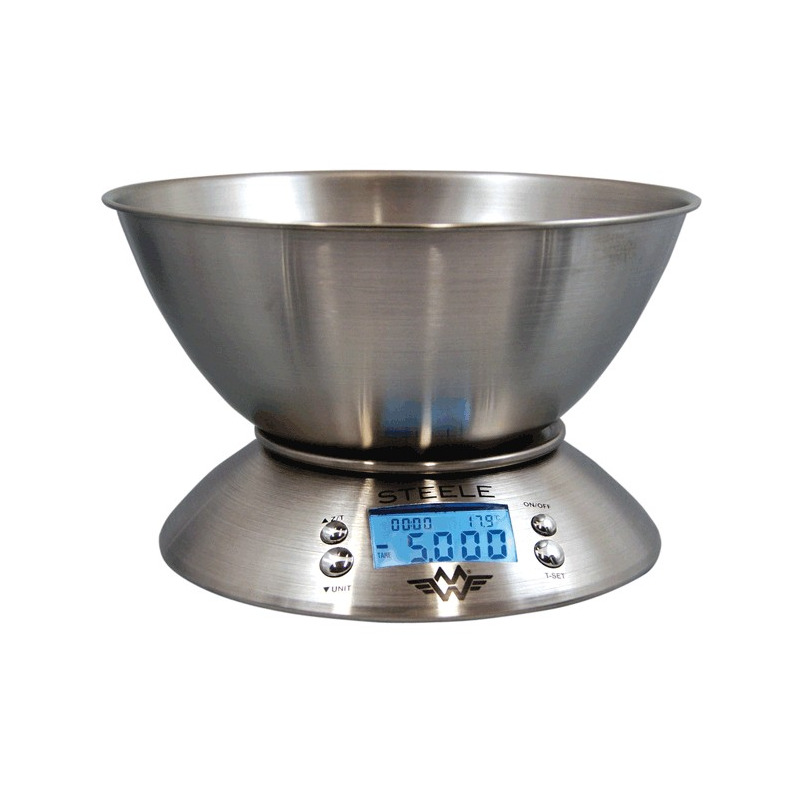 The My Weigh Steele is the perfect scale for your kitchen, its large removable bowl is perfect for weighing ingredients with its tare function. 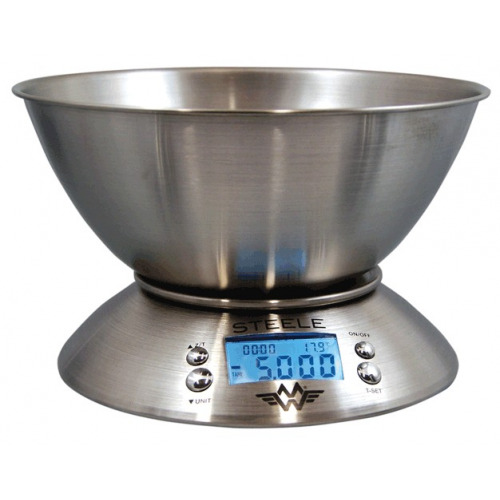 The stainless steel bowl is also machine washable for any messy ingredients. 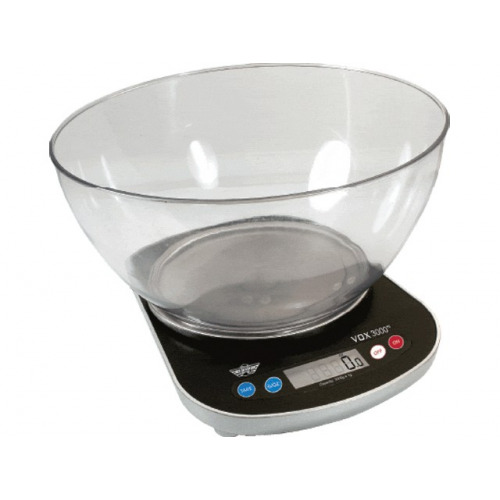 The My Weigh Steele is the perfect scale for your kitchen, its large removable bowl is perfect for weighing ingredients with its tare function. 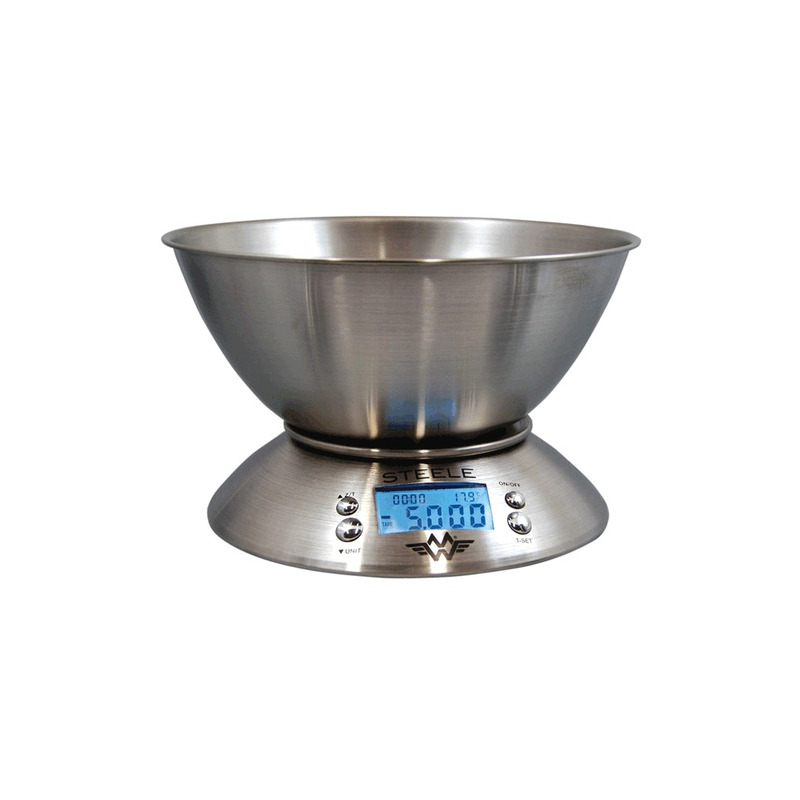 The stainless steel bowl is also machine washable for any messy ingredients. 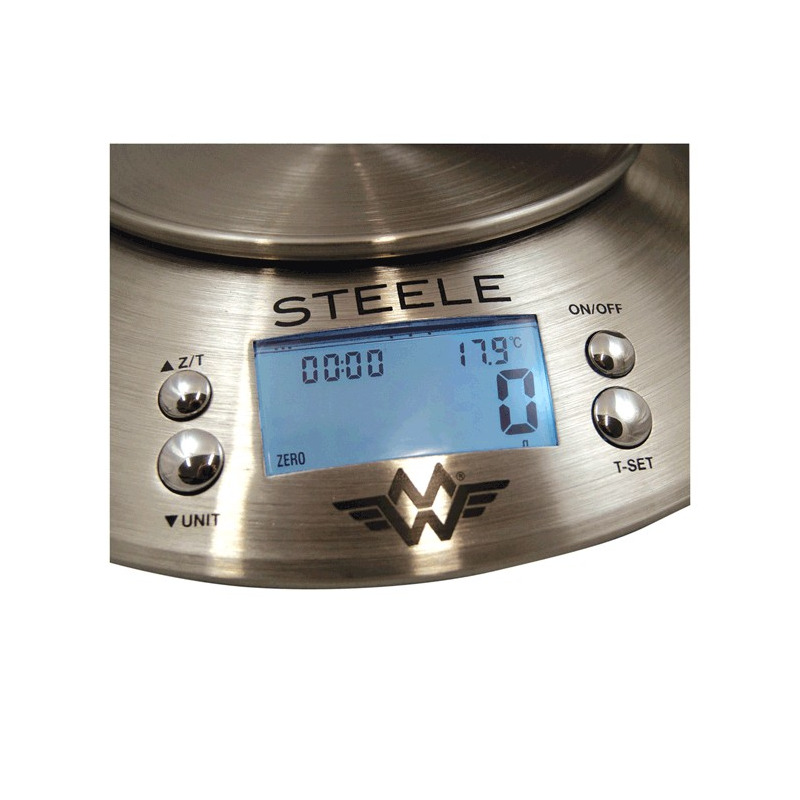 The My Weigh Steele isn't just a scale, it also features a timer and a thermometer, which is useful for any bakers that want to make sure the room is the correct temperature for their pastry. 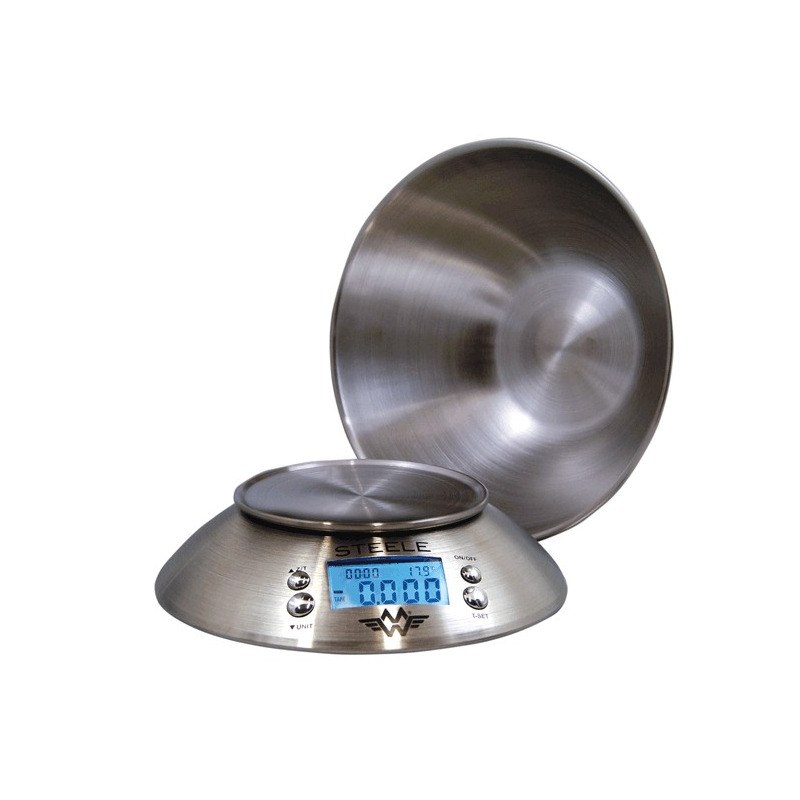 The large, back lit LCD screen reads weight in two modes (g/Kg, oz/Lb) for ease of use.